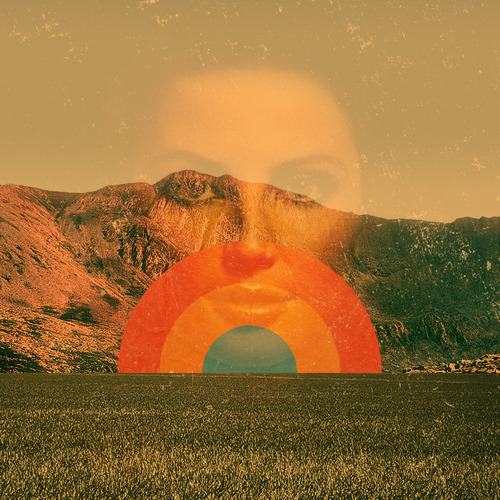 Discover something beautiful—this is a Theme that was built with its name in mind. 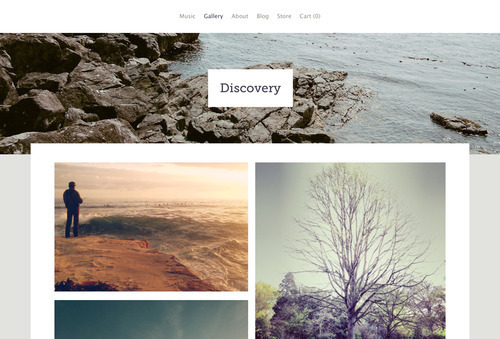 Welcome our newest theme Discovery. 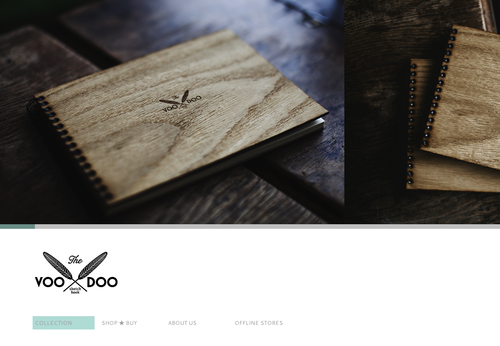 View the demo site to get an idea of how it handles your content. Discovery’s clear and beautifully proportioned architecture allows visitors to easily discover and explore content. Its polished details show a level of care equal to your own. 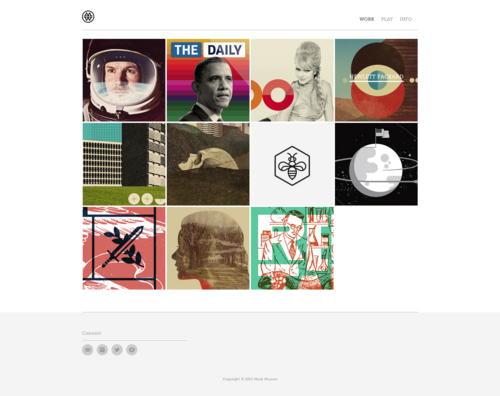 This theme shows content with restraint and refinement. Whether you’re a blogger, photographer, or shop owner, Discovery gives your pages a polished structure so your work can shine. Photographers rejoice—one of the most requested features for Virb Galleries is live. You can now set your favorite photos to play automatically, and choose the transition timing that’s right for you. 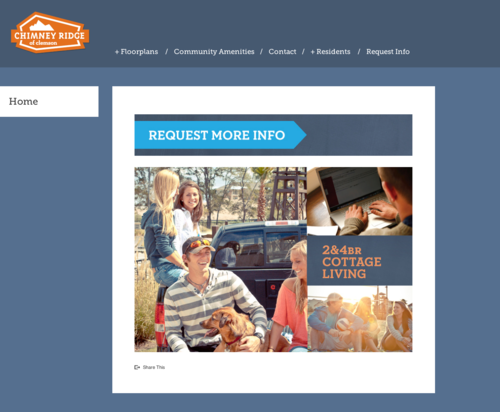 Let your site’s visitors see the best of your work without lifting (or clicking) a finger. And a big thanks to everyone who requested this feature along the way—we love the customer feedback. If you’d like to see where we’re headed next just check out our handy roadmap. It’s been almost a year since Hurricane Sandy swept through New York, destroying homes, businesses, and countless possessions. At Virb, we joined the widespread recovery effort by offering up free Virb sites to any organizations devoted to Sandy relief. One of the individuals who came to us then was Lee Kelly, with her idea for CARE for Sandy (CARE stands for Cherished Albums Restoration Effort). 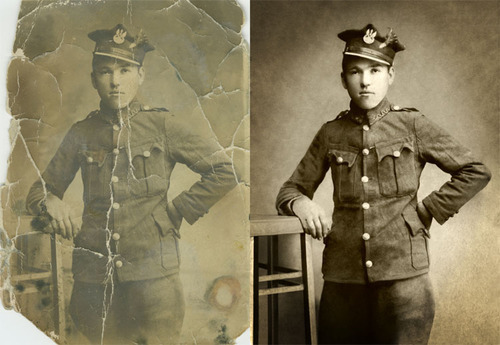 Since its inception, the group has restored nearly 700 individual photos, gathered volunteers in over 30 countries, and has a repository of over 4,000 photos waiting to be restored (yes, they’re seeking photo volunteers plus helpers of all sorts). We’re so proud to support this group on Virb. You can keep an eye out for their upcoming coverage from Al Jazeera that’s set to air on the anniversary of Hurricane Sandy. Bravo to Lee and her awesome team of volunteers for inspiring us all to use our talents and spare time for good! See restored photos, volunteer opportunities, and tons of press coverage at CAREforsandy.org. We just can’t resist sharing our collaborative project from the Design Week Portland opening party (which, by the way, was a total blast). The project really helped us get to know all the awesome attendees and to learn a thing or two about their city. 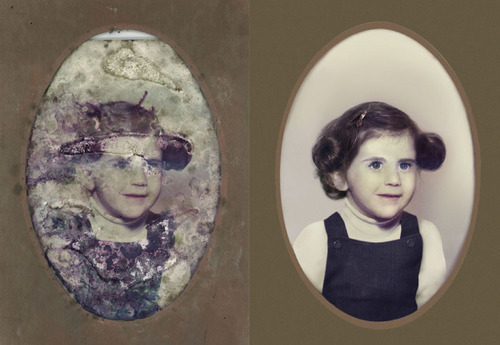 Check out a before-and-after comparison of the project below (click the image to see details). 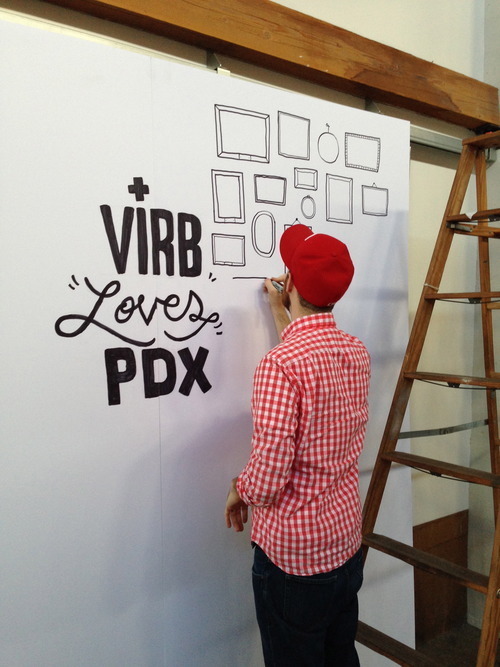 Here’s how it went down: We set up an 8x8’ wall—with only minor injuries—and then drew in a title, a prompt (“What do you love about Portland?”), and some faux frames to give participants an interesting constraint. Then, we laid out a bundle of markers and watched as the wall slowly filled up throughout the night. It was great to see designers and non-designers alike flex their artistic muscles and tell us what they love about Portland: the food, the music, the trees, the skyline, the hippies. For a little extra fun, we took some shots of our setup process and created this gif. Two hours captured in eight seconds. Whoa. We love fun projects like these, especially ones that let us engage with an awesome, supportive community like the one we discovered in Portland. Thanks to all the organizers and attendees for an incredible week! 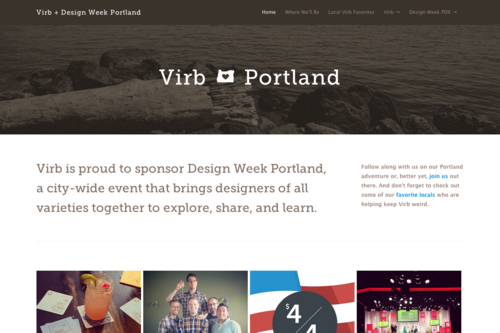 This week, a few folks from our team are headed out west to take part in Design Week Portland. Design Week is a gathering of designers from a variety of backgrounds that aims to bring the community together to learn, collaborate, and create awesome things. We’ll be hosting a few events, like Thursday’s bike-powered smoothie station, and attending many more, like a screen printing workshop with Invisible Creature. Whether you’ll be joining us out there (hooray!) 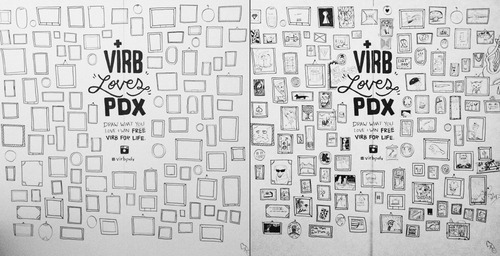 or just want to get in on the action a little bit, we’ve created a site to document our adventure: Virb Loves PDX. You can view our full agenda of events we’re attending or hosting, follow our Instagrams, and check out the local Portlanders we’ll be high-fiving with throughout the week. If you’re attending, be sure to come find us at the official opening party this evening to leave your mark on our collaborative project wall. Watch out, Portland—we’re coming for you! And your donuts. You guys are smart—really smart. 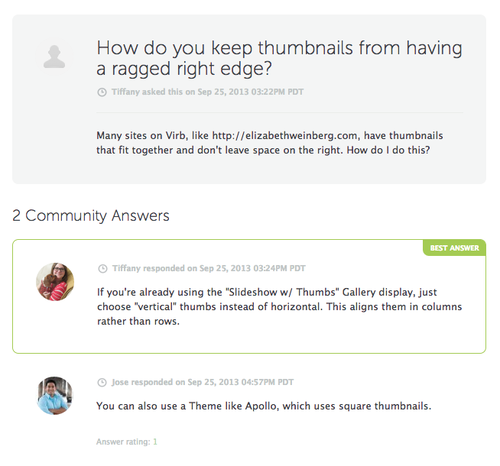 And now, you can use some of that vast knowledge to help your Virb peers in our new Community Questions section in the Help Center. For urgent issues, account-related questions, site errors, or just anything you don’t want to ask publicly, we still want you to message us directly so we can give you 1-on-1 support. Our commitment to friendly, personal support will never change. Are you a Virb wiz? Maybe you can answer someone else’s question (it’s good for your karma). 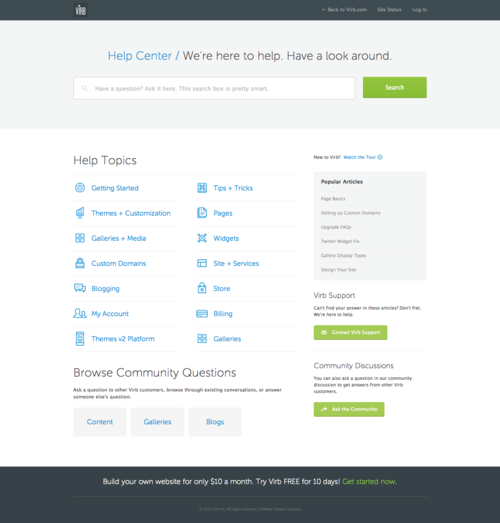 We believe in this smart community of Virbers and hope that the new Community Questions area becomes a helpful resource to make your sites better than ever. 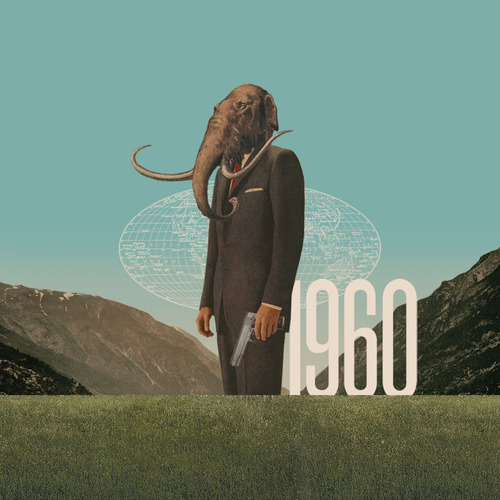 Mark garnered a great deal of recognition when he endeavored on an ambitious personal project, "Make Something Cool Every Day.“ Creating anything on a daily basis is tough work, but Mark’s graphics, which combine photography, typography, and illustration, are each inspired and beautiful—and seriously cool. Click here to view the full collection. We’re so excited to reveal that we’re making it easier than ever for restaurants, coffee shops, bars, bakeries, food trucks, ice creameries, and all the other delicious places we love, to get online with Virb for restaurants. We know that many restaurants think they can’t afford the time or high cost of creating a quality website, so their sites become outdated, defunct, or even nonexistent. In this digital age, that’s a business killer. With Virb, restaurants can quickly create a beautiful online presence for the price of just a couple lattes a month. 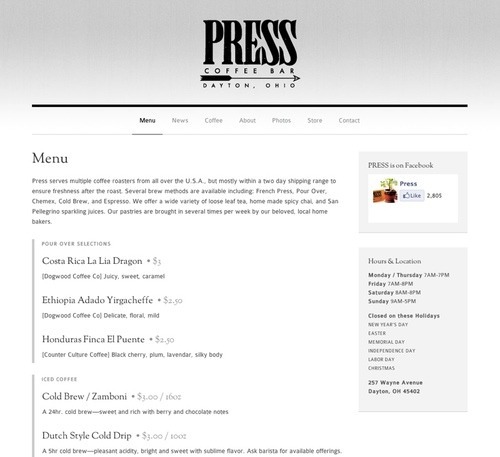 In honor of this release, we’ve added some new features just for restaurants. 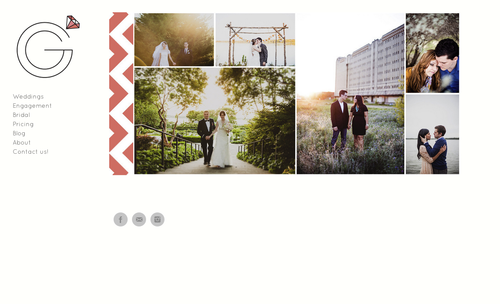 First up is a beautiful, easy-to-use OpenTable Widget, designed to match with your existing Theme. Now, with just a few clicks, you can allow your future patrons to make seat reservations right on your website. And, yup, the Widget works great on mobile so your customers can even make reservations on the go. We’ve also added more link options for the Social Icons Widget, one of our most popular features. Now, you can add a Yelp and OpenTable link so people can find out more about you or leave rave reviews with ease. 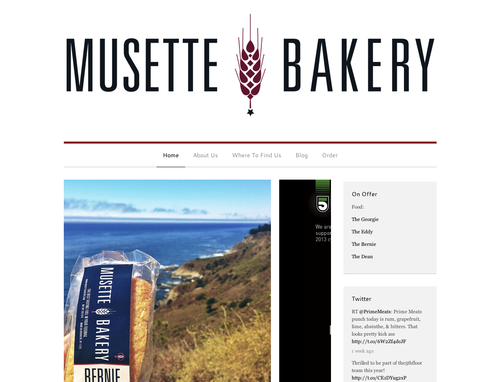 And with our newly improved Menu and Contact pages, you’re all set to give customers the information they want, no matter how often your head chef changes her mind. We’re so excited to welcome restaurants to Virb, and it’s not just because we love coffee, whiskey, and gourmet sandwiches—it’s because we love helping people and their businesses thrive through a great online experience that’s simple to manage. Explore what’s possible at virb.com/restaurants. Australia-based designers Miniscapes hopes to bring a little bit of natural balance to our increasingly indoor lifestyles. 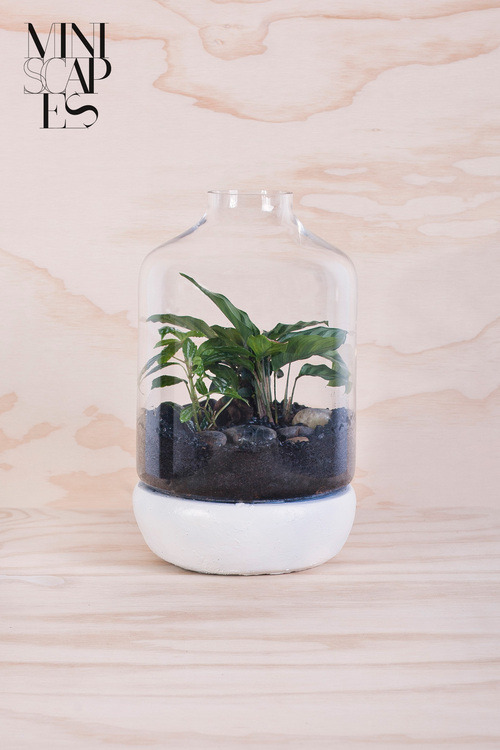 Miniscapes creates delicately crafted natural terrariums that are as clever as they are beautiful. If you look closely, you’ll see that many of the Miniscapes include tiny figurines like people, objects, and even dinosaurs—genius. 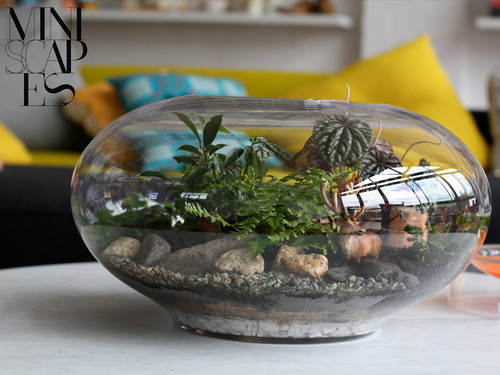 Check out the company’s video below to get a feel for the whimsical beauty of these desktop gardens. Miniscapes are currently only stocked in Australia so if you’re lucky enough to live there, you can find their stockists or get in touch on their website: Miniscapes.net. There’s been a lot of talk Twitter and in the media today about Yahoo’s shiny new logo, bringing up questions about what a logo really means and what sort of research should go into its creation. 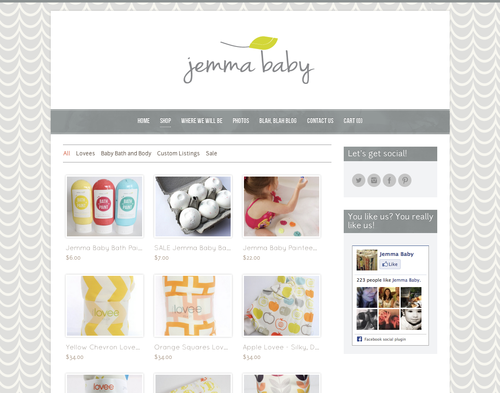 Just check out the conversation on logo blog Brand New to see how in depth the analysis can get. As any designer or business owner knows, a logo is much more than just a typeface and color choice: Your logo sets a tone, represents who you are, and helps establish a relationship with your customers—and that’s only scratching the surface.